Hi, I have installed 2.5.1 on Windows x64 now I cannot select the “Text” option to create text in the laser area, I am still able to select B&W, Greyscale and Vector, just not text. I can’t reproduce that here, Text is working fine. Snapmaker 2.5.1 64bit on W10 Lenovo W530 laptop. Had to reply to the e-mail as I cannot upload as I’m a new user sorry. Thanks for the information. I replied your post on fb group but recently things keep me from figuring out what the real issue is. We are using electron to build the Windows version, the tool is developing rapidly and might not compatible with all linux distributions. Surely I will have some time to in 2 versions (2.5.3) to find and upgrade this thing. They are all old features, a little hard to cut out all the old features Delay fixing them yet cuz I think only few users will notice them. Thanks for your kindly feedbacks. We will have a overall fix on 2.5.3. Additional information: This is the list of installed software on my system that didn’t fit in the original post. 2.5.1 will not support laser engraving text. Nothing happens when the text option is clicked. Having issues with the positioning of SVG files for laser vector engraving. This is only from 2.5.1, previously they displayed with no issue. 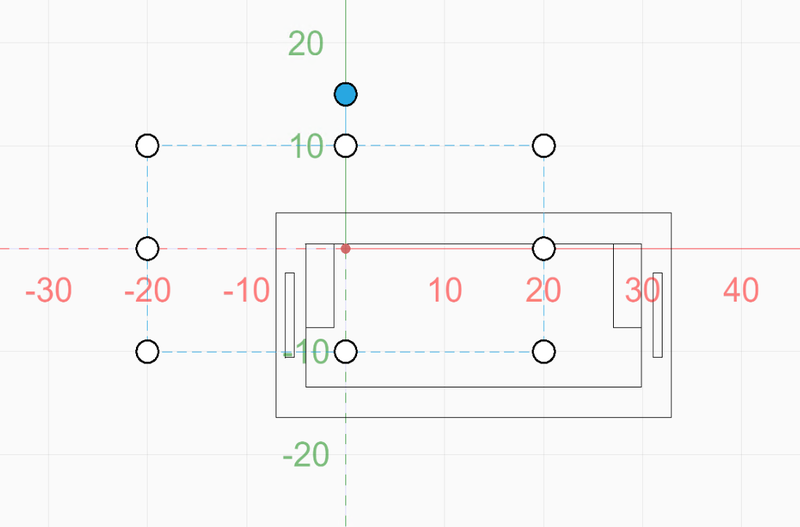 When you load the gcode into the workspace the path is as per the path preview, but positioning the path is problematic because the selection box is all over the shop. Bringing back the alignment option would be much better. Yes in v2.5.1 we bring the auto preview, and what you see in the preview is where G-code actually locates. 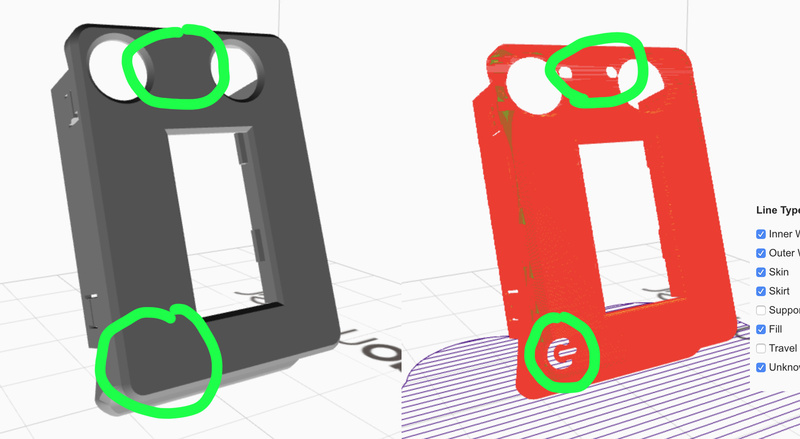 I agree that we need to bring back the alignment option cuz it’s still handful when engraving single model. See the post that we post Snapmakerjs v2.5.2 beta version to see if it fixed your problem. I used the laser module with FW 2.8 and Snapmakerjs 2.5.2beta2. I like the filename suggestion when saving Gcode file to my USB stick. I think there is a bug: when the laser printing is done (from USB stick) and the do jog the bed to move the lasered wood to the front it keeps trying to move the bed to the front even when it is already at the end of the spindle/max position. I had to switch the pinter off by power off. I need wifi to utilize the Text feature? The computer or laptop on which Snapmakerjs is installed must have an internet connection in order to download the Font. Otherwise you could choose to import a font of your choosing (you could use one from the Font folder of your OS) which you’ll probably eventually want to do anyway. That indeed has fixed my issue. Thanks. I’ve just upgraded the kernel to 4.4.172 which doesn’t support the NVidia driver and snapmakerjs works now. Presumably when I upgraded from 4.4.144 to 4.4.157 something changed that broke snapmakerjs. This is the difference between the two kernel configs, which presumably contains the problem. Running 2.5.1, I have encountered a bug where the “run boundary” command does not work correctly. This ended up bending the shaft on my CNC attachment so I am a bit miffed. I encountered it both with the CNC and the laser, with gcode generated from an svg. In both cases, I moved the anchor point of the image out of the center (with the laser, I dragged it in the interface; with the CNC I used the anchor point dropdown or whatever the name of it is). The previews both in the laser/CNC tab and the machine tab were correct, showing the image where I expected it. When I ran the “run boundary” command, however, it acted as though the image was still anchored at the center and ran the boundary accordingly. In the case of the CNC, that involved slamming the bit straight into an unmovable object, but less dramatically it also ran past the max-x and min-y boundaries and completely messed up where it thought the work origin was. I have a vague recollection like when I tried to run the gcode it did the same thing but I could be misremembering. I was pretty upset at the time. a browser through http://127.0.0.1:51652/, you don;t seem to be able to connect remotely though as its not listening on the physical interface. Is it at all possible to allow this to listen on the actual machine IP address as well so that you could remotely access the SnapmakerJS console from other devices on the network? My Snapmaker is connected to my ESXi server and then I Remote Desktop into a Windows box with Snapmaker installed, it would be great if I could just use a browser to connect to it from my tablet from the sofa, instead of having to run an RDP session to it first. I am using Snapmaker JS 2.5.2 with the 2.8 firmware and I’m still having issues with the laser burning dots into my workpiece while jogging in focus mode. I have also had several errors when I go directly to the workspace and upload an NC file instead of loading it to the workspace from the Laser work area.But they are not consistent. Occasionally when I jog the head from the software it no longer reports the position that I moved to. Also, the laser will stay on even if the software shows it is off. There are a few others but I can’t remember them and they don’t always happen. Sorry I can’t be more specific. hi @drspringer could you describe the problem in details that you have met for a few times, which annoys you always? I’d like to follow your description to try to recurring the problem and see if I can provide you with any solutions. I noticed that the slicer function breaks in 2.5.2. Some polygon disappeared while the mesh is rotating -90/90 degree angle in any axis. The STL could be obtained from here. I installed 2.5.2 yesterday because the background addition to the laser sounded like such a useful tool. I am using the 1.6w laser and just to mark a piece of paper with the box for background I had to run my laser at 100 and even at that it barely marked the paper. There is something very wronge with the laser power setting at least witht he larger laser. I didn’t try the lower power laser. I had to go back to 2,5,1 just so I could use my laser.